A note, email, or letter from an alumna or alumnus during the admissions process can make all the difference in the world. It establishes a connection to the College and a sense of community before the first step is taken on campus. That is why we would love your help welcoming new applicants to Randolph College. Sharing your academic and professional success will answer that question in a powerful way. 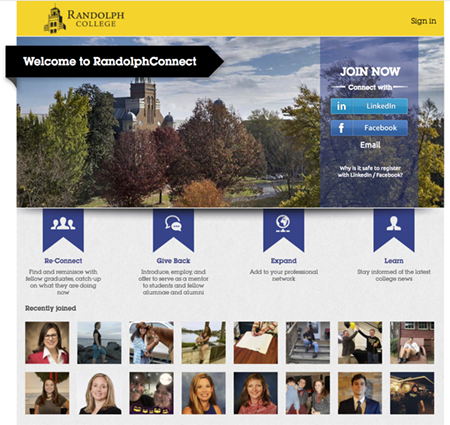 Sending an “e-welcome” to a new applicant is something that will set Randolph College apart from its peers. If you are willing to lend your success to this important initiative, register online as a member of The 1893 Group, or e-mail 1893group@randolphcollege.edu for the link.